Winter brings about it’s own special kinds of challenges. My butter is rock hard. Feet always cold. And it takes ages to get everyone into their gear and out the door. But it is also pretty. After a snow fall the world literally sparkles. It’s like fairies have come through and sprinkled the world with their magic dust. 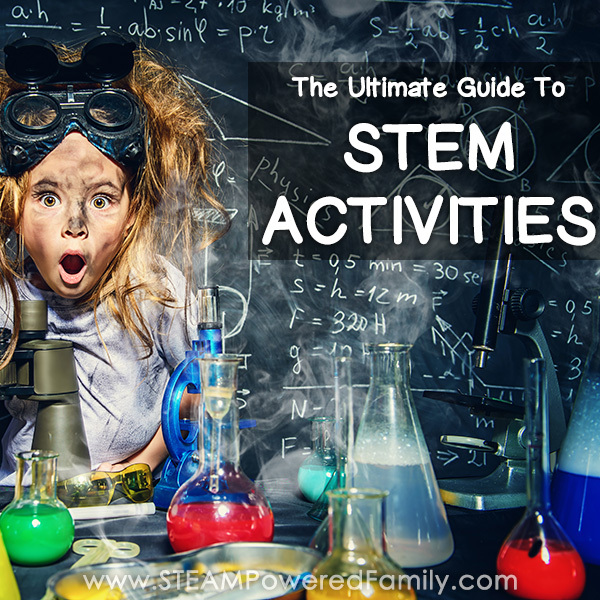 It can also inspire some amazing science experiments and labs with some fantastic learning opportunities. When nature is your natural freezer, might as well make ice. 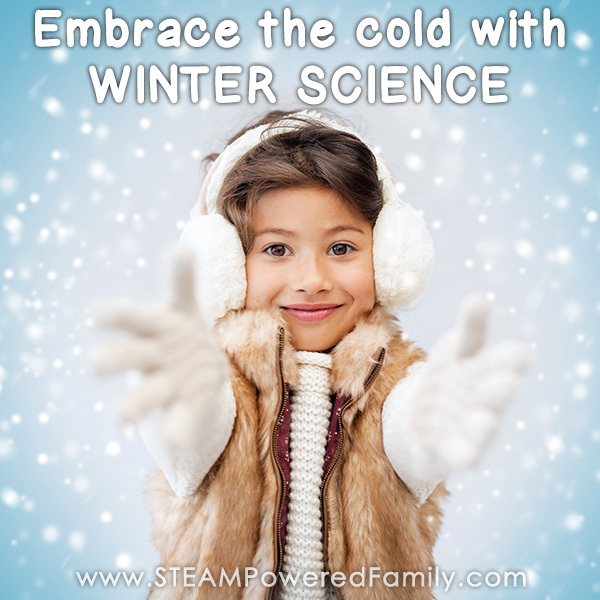 And winter science! I’m not a big fan of winter. Which kind of stinks, because we live in a place where it often snows in September and we still have snow in May! In fact, during my lifetime we have had snow every single month of the year. The year it snowed in August I was working in an ice cream shop. Needless to say it was a very quiet day for this ice cream scooper. Now since this is home, and winter is a big part of life here, I need to embrace the cold. Welcome the snow. Find ways to bring out the best of this weather. 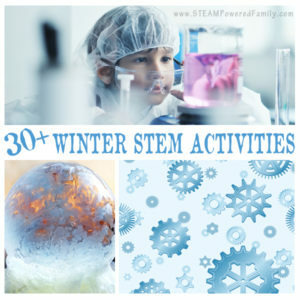 So I’ve stuffed myself into my parka and my winters, and trudged out into the wilds to bring you this list of winter science experiments that celebrate the cold and bring some fun to those chilly days! 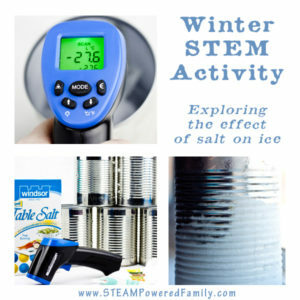 However, since I know I’m not the only one who hates outdoors, plus not all of you live where nature is a freezer, I’ve divided these activities into two categories: indoor winter science and outdoor winter science. Enjoy! Engineer an Ice Lantern – When the world is a freezer you might as well make ice. 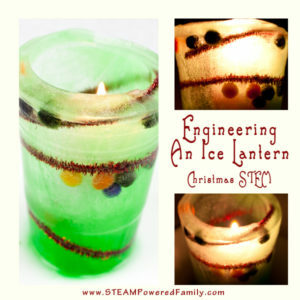 And pretty ice with this ice lantern engineering activity or make some outdoor ice ornaments with this tutorial. Ice Sculptures – Continuing with how easy it is to make ice at this time of year, why not challenge kids to build ice sculptures. Figuring out how to keep those slippery blocks of ice together involves some scientific problem solving! 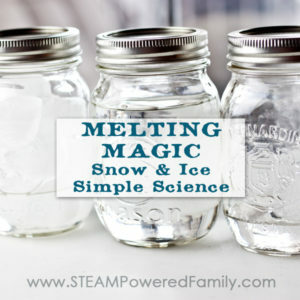 Melting Magic – Snow and Ice Science – This is a great project to do with kids as it demonstrates a principle that many need to see to believe. Frozen Bubbles – This is one science lab we have yet to crack! I actually think we wait until it is too cold. So ours shatter before they even form as bubbles. This year we will continue our pursuit of the elusive frozen bubble! 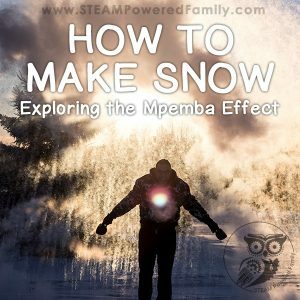 Make Snow by exploring the Mpemba Effect – This is the most spectacular experiment we do each year, but it will only work under very rare and special conditions… crazy, insane cold! Sledding is a popular winter outdoor activity and a great opportunity to see physics at work in real life! Here are some ways you can chat about physics next time you are on the hill. Still want more physics? Don’t miss our exploration of Newton’s Laws. 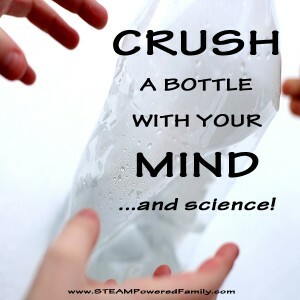 Crush a Bottle… with your mind! 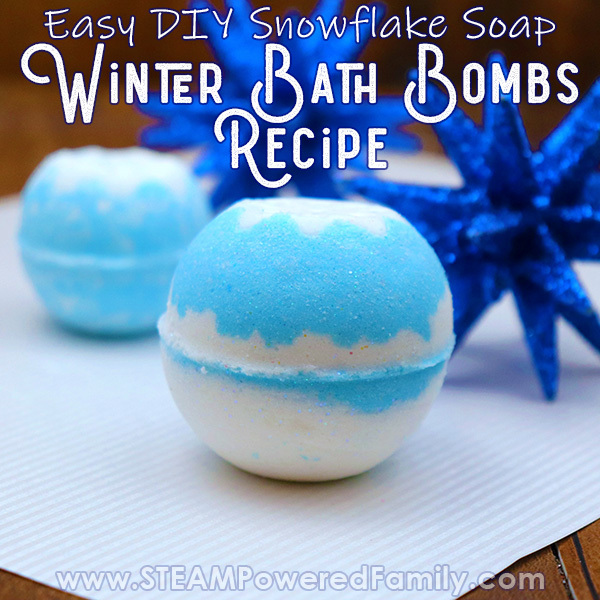 – This is one of our favourite winter science experiments. The older kids love doing it and wowing the little ones. Winter STEM Study – Salt is a big part of life in winter. It is everywhere trying to combat the ice that threatens to make us fall or send our cars sliding. Study the effects of salt on ice in this study. 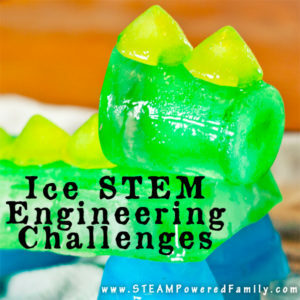 Learn how to make frost in this activity we did for 123 Homeschool 4 me. Create a Frosted Wreath – The results of this experiment are so pretty. 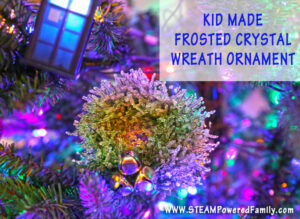 They sparkle just like the frost outside as tiny crystals form on the delicate strands of the wreath. For a different twist on this crystal making experiment, try making a snowflake version or practice making jumbo sized crystals or even making them scented (imagine a pine or peppermint scented design). 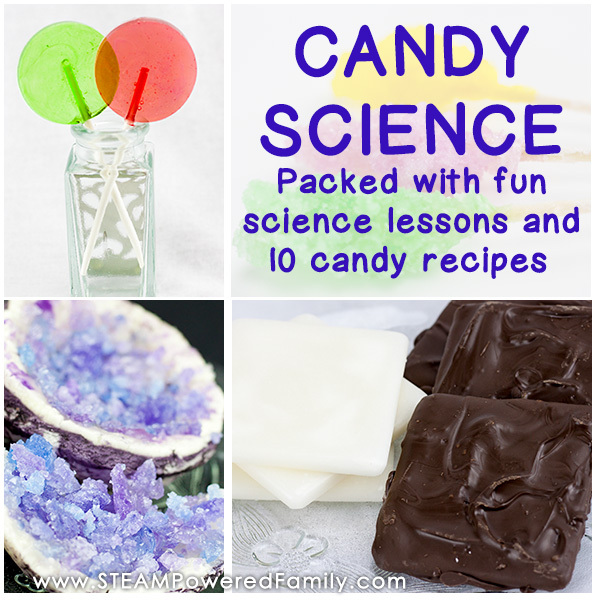 Who doesn’t love a little hot chocolate science on a cold winter day? 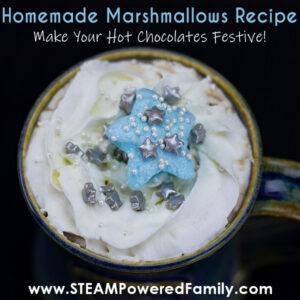 With hot chocolate comes marshmallows, try your hand at a marshmallow science experiment or make some extra festive marshmallows for those holiday hot chocolates. 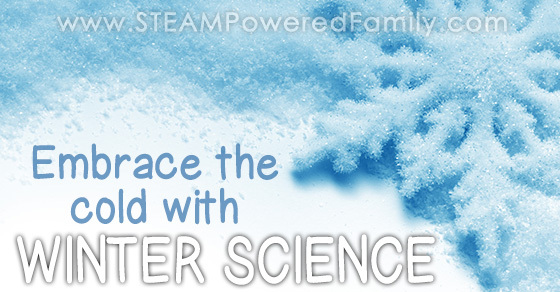 Then curl up with that delicious hot chocolate and watch videos on the science of snowflakes. 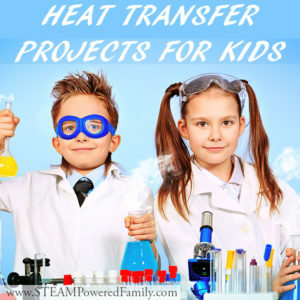 Heat is a big topic of conversion at this time of year, so why not tackle some heat transfer experiments to better understand how heat moves between objects. What do we love during the cold winter? Nice warm baths! 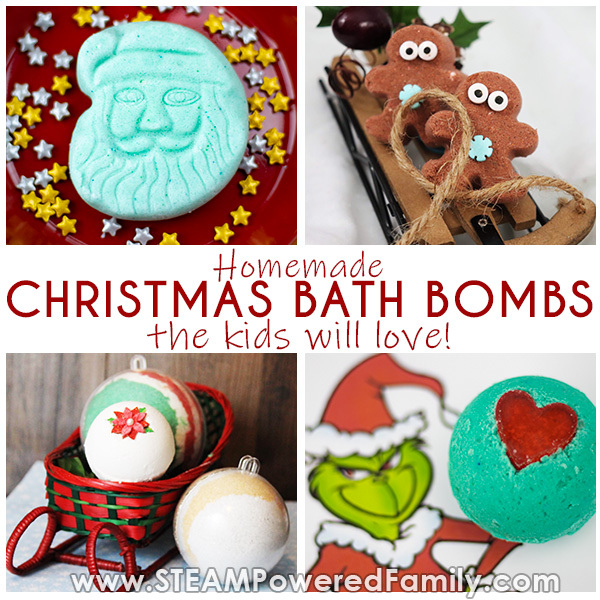 And with that we have really loved learning how to make bath bombs. 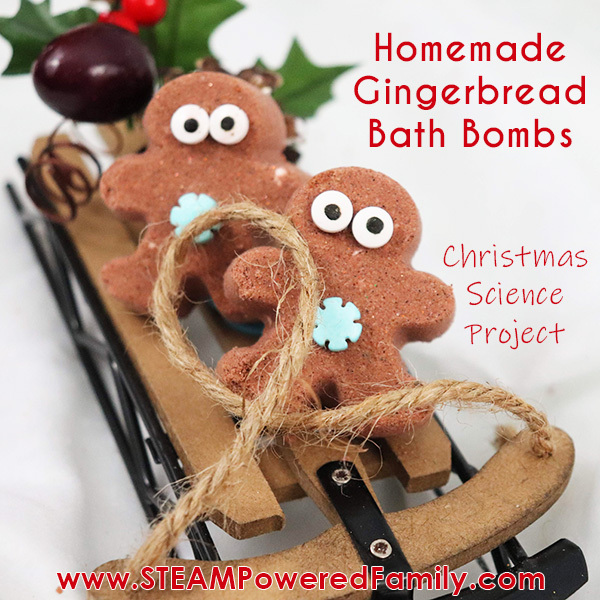 It is a fantastic STEAM project for your tweens and teens and fosters so much creativity and understanding of chemistry. 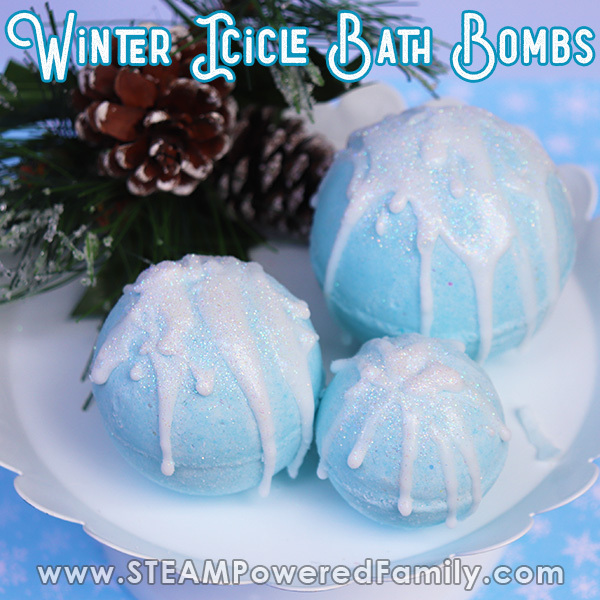 Here are some of our favourite winter bath bomb recipes. Explore friction with this experiment exploring how things slide on ice. Although this experiment shows an indoor version I think it would be even more fun to head outside and test it. Snowflake light reflections are a beautiful and fun way to play on a sunny winter day. 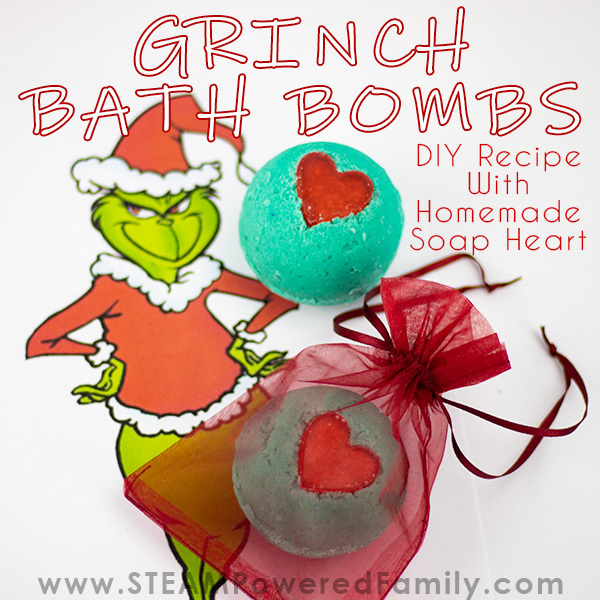 This Winter Scent Lab is a great way to spend a cold afternoon inside where it is warm. Kids will love making the scent bottles and learning how their sense of smell works. 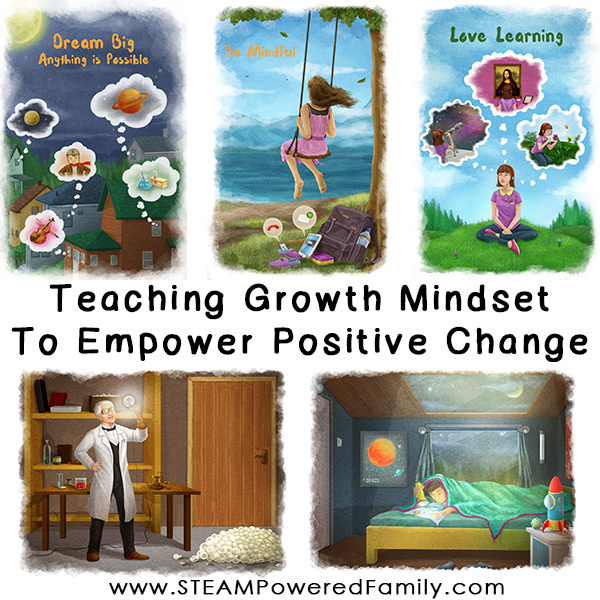 Want to dive into more hands on learning? 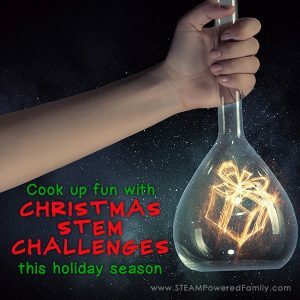 Check out our Christmas STEM Activities or Winter STEM Activities for even more inspiration!